The Red Box Diversity System is a program of twelve educational modules that improve employee diversity skills. To use the system, every employee in an organization receives a box of eleven exercises. Each month employees complete a single new exercise that takes no more than 30 minutes to finish. During the twelfth month, employees meet in small groups for discussions and planning. The Red Box Diversity System allows all staff members to contribute to the diversity change efforts and offers the flexibility required to meet the needs of employees in all parts of the organization. The Red Box Diversity System accomplishes three primary goals: (1) high quality diversity education that takes place over a whole year; (2) a system that is easy for organizations to administer; and (3) learning that is employee self-directed, flexible and enjoyable. The system offers a lower cost per employee than diversity workshops or even online training programs. In fact, the more employees you have, the lower your per employee cost. Step 1: Employees receive a box of diversity exercises and attend a brief seminar that explains how to use the system. Step 2: Employees complete the Red Box Diversity System exercises – one per month – over the next 11 months. Each exercise takes only 30 minutes to complete. Step 3: During the twelfth month, employees meet in small groups to reflect on the year’s activities, discuss new diversity goals and complete evaluations. 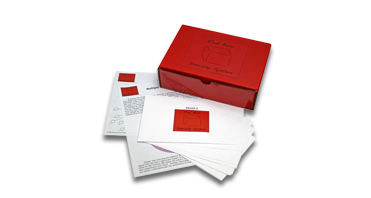 The Red Box Diversity System not only teaches diversity skills, but how to develop those skills so they “fit” each individual’s unique work setting and job function. Employees become empowered with flexible thinking strategies they can use to address diversity effectively as they encounter new situations and interact with others. To receive an information packet about the Red Box Diversity System, please send an email request to info@beyonddiversity.org or call the Beyond Diversity Resource Center at 856 235-2664.